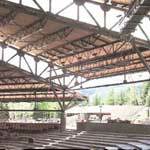 Home - Pioneer Steel Inc / PSI Crane & Rigging - Western Slope of COPioneer Steel Inc. | PSI Crane & Rigging, Inc.
Safety is a core value at Pioneer Steel. Meeting the standard is not just enough at Pioneer Steel, exceeding the standard is expected at all times. Our employees are our number one resource and keeping them safe is our number one job. Safety is the job of everyone working at PSI. Every employee at Pioneer Steel is a member of our safety team. 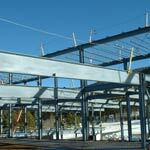 PSI’s projects vary from large commercial steel erection to complex bridge sets. Visit our project pages to view the vast range of our capabilities. PSI recognizes the value of client satisfaction in a competitive world and the major contribution to this satisfaction is made by the supply of labor and modern equipment to an assured level. Pioneer Steel has been recognized by the American Institute of Steel Construction, Inc. (AISC) as an “Advanced Certified Steel Erector” since 2007.